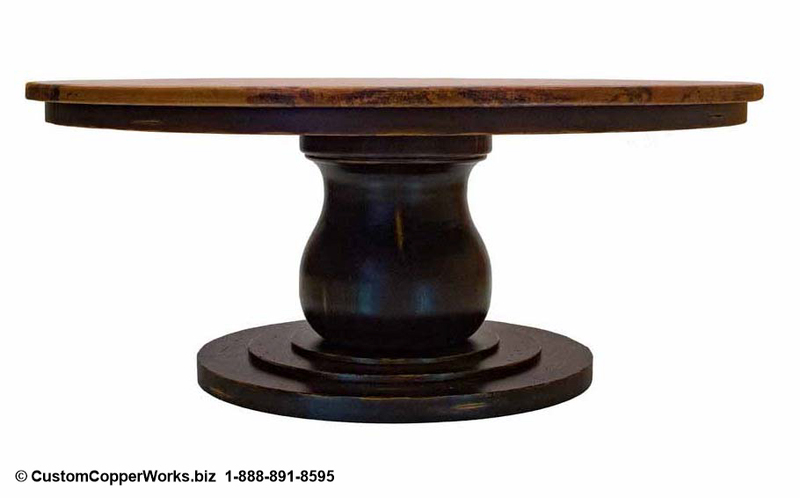 The dark brown 72" round copper table top, lightly sanded to expose bright copper ridge accents, is paired with the unique slightly distressed Itzel geometric wood table base This organic copper top dining table design complements contemporary, eclectic and transitional urban decors. The dark brown 72" round copper table top, lightly sanded to expose bright copper ridge accents, is paired with the unique, geometric, slightly distressed Itzel wood table base This organic copper top dining table design compliments contemporary, eclectic and transitional urban interior decors. 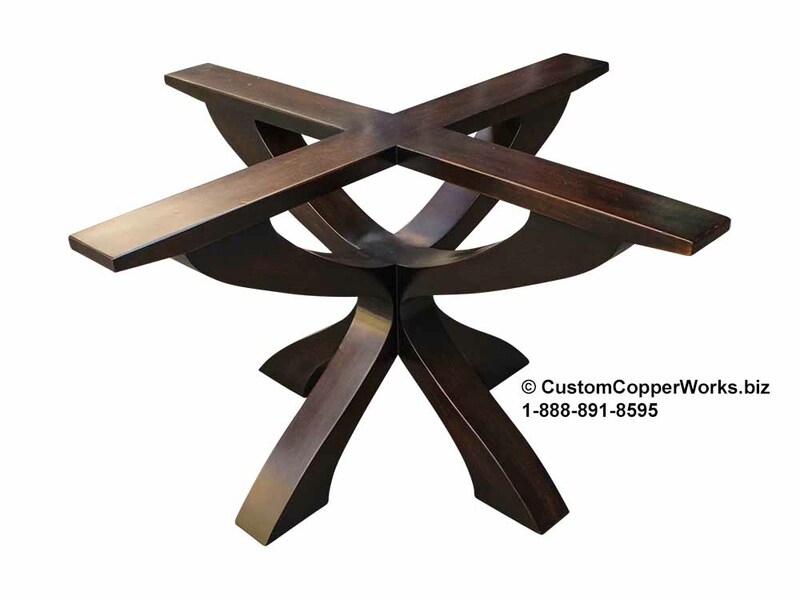 Size: 72" x 72" x 2.25"
Heidi recently purchased a new home and was initially attracted to the CCW Design #92 forged-iron table base showcased on the website with a 52" round copper table top. 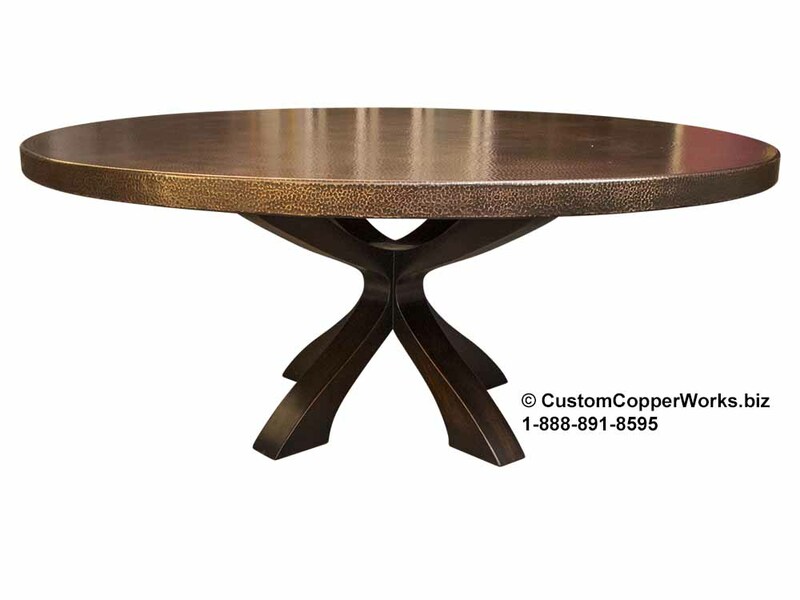 The forged iron design could not be modified without compromising the design integrity for a larger 72" round copper table top. Our carpenter was able to create a similar design to Heidi's liking in wood that allowed for maximum place settings with excellent legroom. Heidi decided she wanted to color coordinate the copper browns and golds with the slightly darker colors for the wood table base. The end result is exceptional! Good job, Heidi. 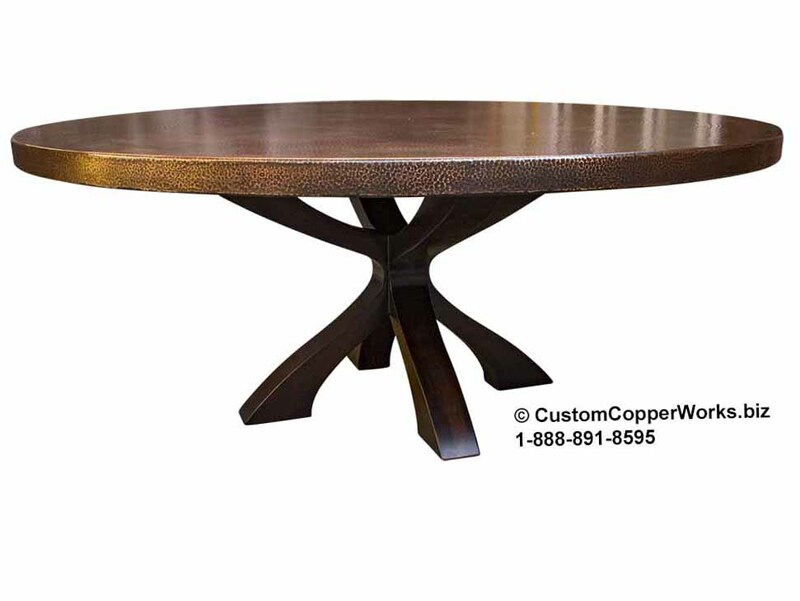 Below are photo approval photos for Heidi's 72" round, copper top dining table and wood base. Click on photo for larger view.